Particularly in markets with high order volumes – such as mineral water, beer, wine or spirits – the classic wet-glue label still dominates. In this context, the wine and spirits sectors in particular are confronted with an increasing degree of high-quality finishing. For instance, eye-catching wet-glue labels for beverage packaging can be manufactured both efficiently and flexibly in sheet-fed offset printing, for example on a Speedmaster XL 106 Duo with two coating units before and after the printing units. Using the coating units, the most varied special applications can be carried out inline, including, for example, the application of opaque white, metallic gold and silver effects or Iriodin applications. On the other hand, the modular cold foil module enables partial metallic gloss effects, with the inline finishing also delivering considerable time and cost savings throughout the whole process compared with offline solutions and full-area, film-laminated substrates. 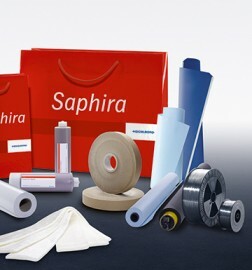 The application takes place inline, one printing unit is needed for the application of the adhesive and another one for the foil application. 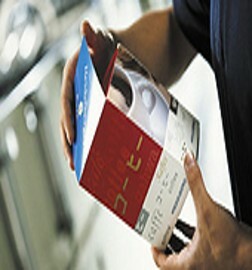 However, the units can also be used for normal printing by means of simple conversion.